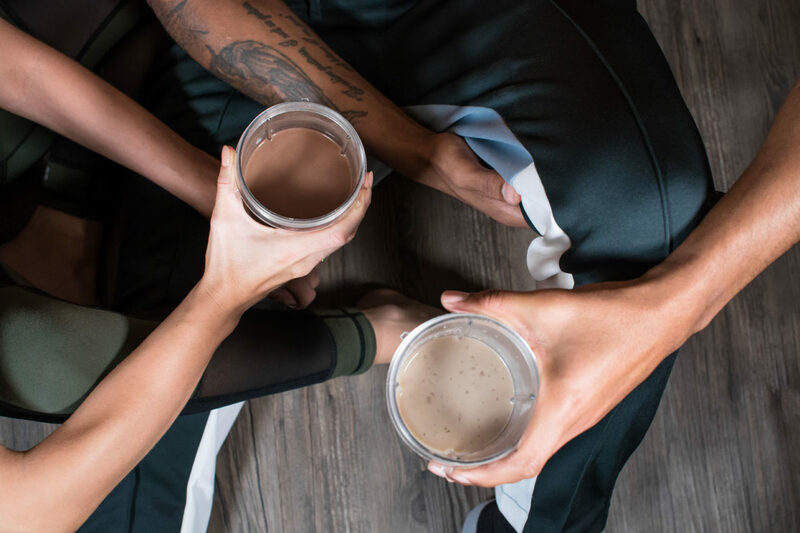 Two very different reasons from the two directors for developing an advanced vegan protein powder, that’s much more than just protein. As a busy mother with an existing business of twelve years and two small children I am finding myself increasingly exhausted. The bar is ever rising to get the perfect balance between being the best wife, doting, loving mother, exciting and nutritious chef to my family (three times a day!) successful business woman, attentive friend, empathetic daughter, the list goes on it’s relentless and to be honest, impossible. Even with a near vegan, sugar free, wheat free diet I still lacked energy come 2/3pm, quite probably due to my type A over achieving personality. However aware I am that perfection does not exist I needed a quick fix, give me a shot of rocket fuel (that’s pure and organic!!) to let me live limitlessly. The more in-depth conversations I have, in particular with women in business, I realise we are all just in a constant battle of juggling with 25 tabs open at one time (and feeling the guilt in one way or another) and everyone wanted, needed (!) the same as me. So, I’m a busy, modern woman. I try to make a yoga class weekly but rarely do, I intend to go to my Friday tennis class but more often than not, late work emails demand my attention, I really should meditate every day but if I get to sit still for ten minutes once a week I’m grateful. So I haven’t ever taken a protein shake, I don’t exercise enough but I do want to be incorporating crazy high antioxidant adaptogens and immune boosting superfoods easily into my diet. I need energy, something to fill me up, balance my hormones, keep me focused, increase my libido, fight my ever growing lines, wrinkles and sagging skin! Seriously plants can do that?! I want it all and ready in 60 seconds. We all have 60 seconds right? I searched and searched but couldn’t find all these incredible adaptogens along with protein, the building blocks of the body in one biodegradable box. So we made it. It’s perfect for the school run to fill me up until mid morning or even lunchtime-powering me for the day. It’s great for after tennis, when I do actually make it. It’s brilliant for a mid afternoon chocolate hit, pick me up without the sugar downer. It is not supposed to be in place of food but it’s a great alternative to sugary snacks which we’re all guilty of and more often than not are actually negative nutrition, leeching nutrients from our body and immune system. This is my journey, the woman and one part of the Supernova Team. 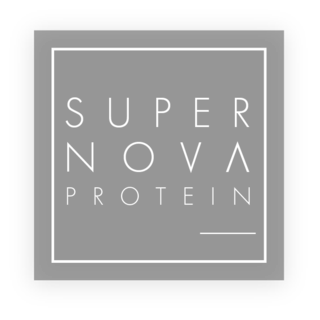 Here’s the other half with a very different reason for developing this advanced vegan protein powder. So, I’m a professional footballer, having played in the Premier League and internationally, I train almost every day with high intensity games twice a week. I’m competitive and want to be the very best. When I signed for Leeds United at a relatively late age (for footballers) of 22, I ate microwaved pizzas and drank Fanta everyday, I was young and naturally fit, I didn’t need to pay much attention to my diet. I met Laura, now my wife, within weeks of signing my first contract. She has been an holistic goddess all her life thanks to her families health awareness and has changed my perspective, mindset and lifestyle indefinitely. Predominantly by educating me on what’s actually in processed foods. If you’re educated about it and know the truth you won’t go back. We’re given protein powders, which usually sponsor the clubs at every training session and the more I learnt about nutrition the more I realised what was actually in these drinks. High sugar content, synthetic flavours, preservatives, colouring, whey and caesin which are notoriously difficult to digest and acid forming in the body. The correlation between upset stomachs, huge crash in energy, mood swings etc etc was no coincidence. We started experimenting with the powders we had at home that we already added to smoothies and researched day and night on the most innovative and effective superfoods on the planet literally sourcing them from Tibetan mountains to the Amazon rainforest! I wanted better endurance, less fatigue, reduction in inflammation, more concentration. I didn’t want it to be gritty or taste synthetic and I didn’t want to feel bloated after a training session but I did want at least 20g of plant based protein to rebuild muscle with all essential amino acids. There’s still some taboo about ‘vegan or plant based protein’ with the boys but results speak for themselves. Top goal scorer, best fitness results in training, high energy levels. Now they want it!! I wanted much more than I was getting from the ‘usual’ protein shakes and of course it HAD to be passed by Informed Sport so I and any professional athlete can confidently take it without worrying it had any ‘banned’ substances. So along with a Naturopathic Nutritionist, we set to work. Brainstorming, experimenting, adapting, trialing, testing and we’ve done it. So I believe. I’m so excited to be able to have a protein powder that is so much more than just protein, to enable me to surpass my training expectations, mentally, physically and emotionally. We’re confident we will stay innovative and have so many products in the pipeline to meet the demands of the modern lifestyle.